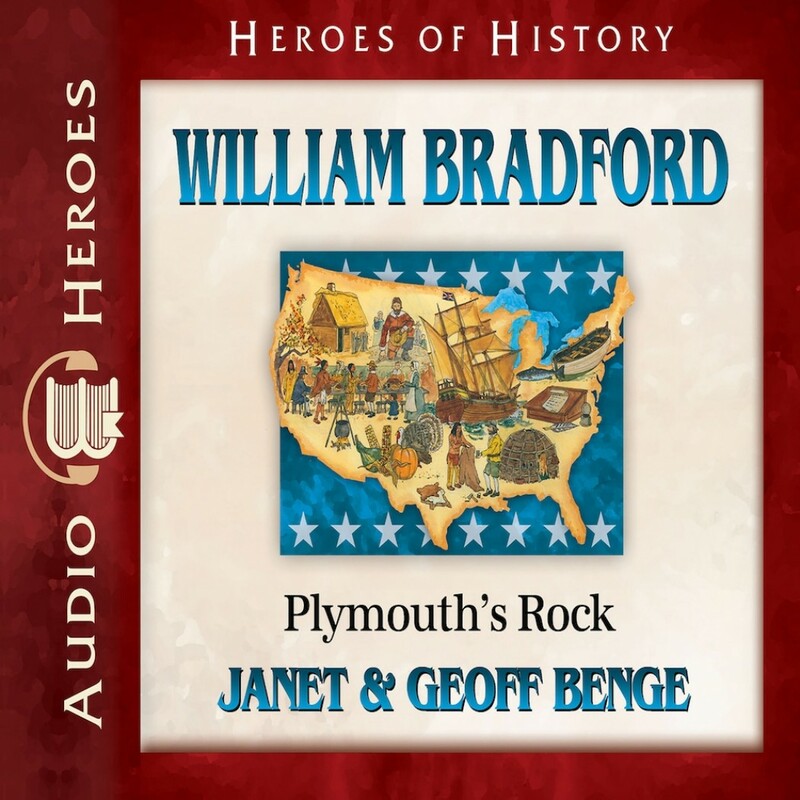 William Bradford | Janet & Geoff Benge | Audiobook Download - Christian audiobooks. Try us free. William shivered and his teeth chattered. Out on the water it was bone-chillingly cold. He could no longer feel his toes, and the spray splashing over the side of the shallop left a glaze of ice on his jacket. If the cold kept up much longer, William feared that the weather might accomplish what the Indians had tried to do—kill them all. Growing up in a small town in England, William Bradford lived during a time of upheaval and opportunity. Together with a group of Separatists, William escaped England to establish a new life in Holland and finally set out on the Mayflower on a perilous voyage across the Atlantic Ocean. The New World beckoned as a land of freedom and possibility. Yet wild waters, icy winters, Indian attacks, starvation, and treason threatened the European settlers’ very existence. Through William’s vision and steadfast leadership, the people of Plymouth Colony would endure, their future descendants forming the cornerstone of a great nation (1590-1657).